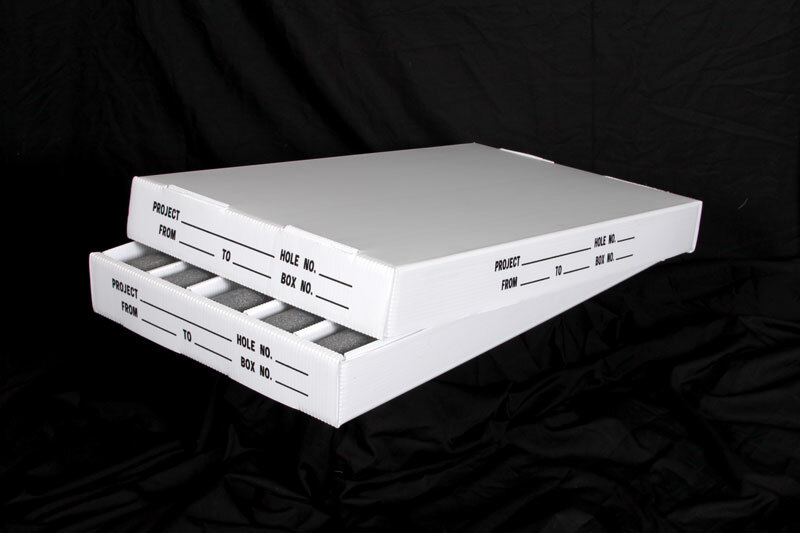 Plastic Packaging Solutions has a variety of Core boxes Sizes available. We stock the most common sizes for fast delivery. Please inquire for pricing and current inventory availability. Plastic Corrugated has many advantages over Waxed Fiber Corrugated. Especially in the type of environment that Core Boxes are many times exposed too. 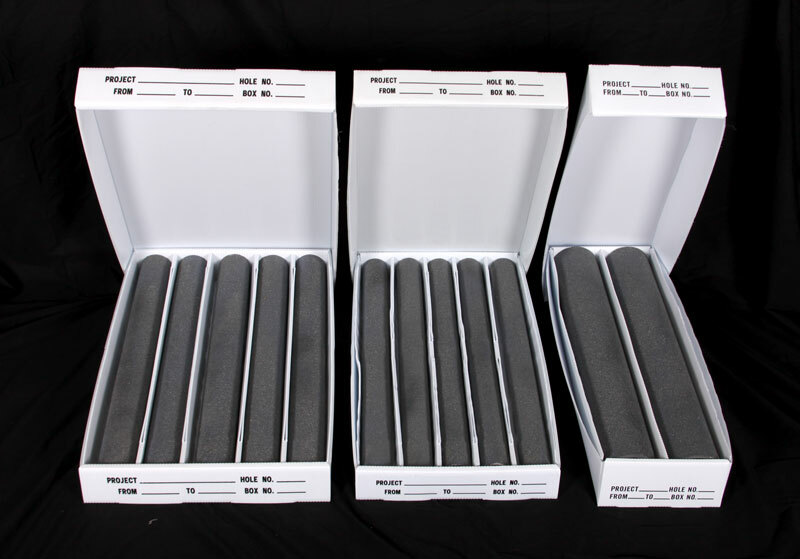 In some cases, core samples are stored in the core box. For some time outdoors where the sun and rain are a constant factor. Waxed paper will lose its integrity and even start to delaminate and fall apart when exposed to heat or extreme moisture for long periods or in severe climates. 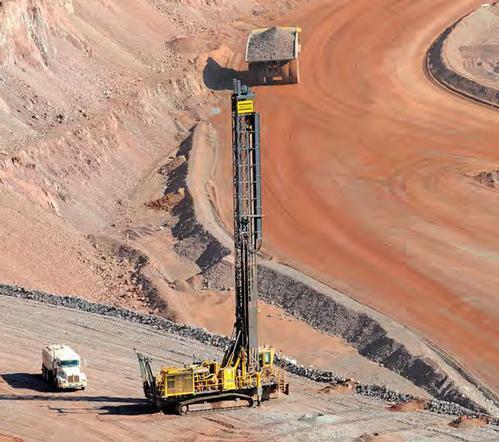 In addition, the cores themselves could be anything from solid rock to a mix of wet soil. It is not affected by water or 99% of all chemicals. 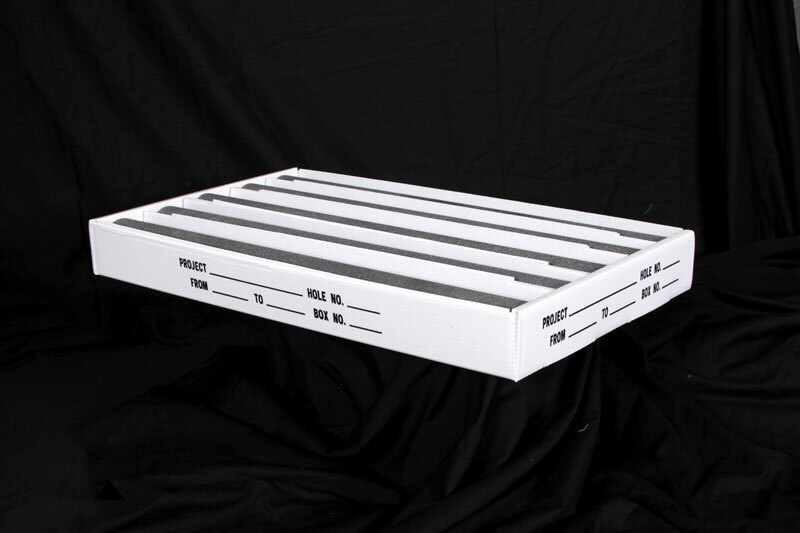 This makes it ideal for most all environments and is not affected by the wet core samples or rainy environments. It is very lightweight saving on shipping costs. Many of our customers store their cores for years with absolutely no change in the performance of the boxes. We also have customers that reuse our Plastic Corrugated Core Boxes time and time again on new drill sites and additional projects. 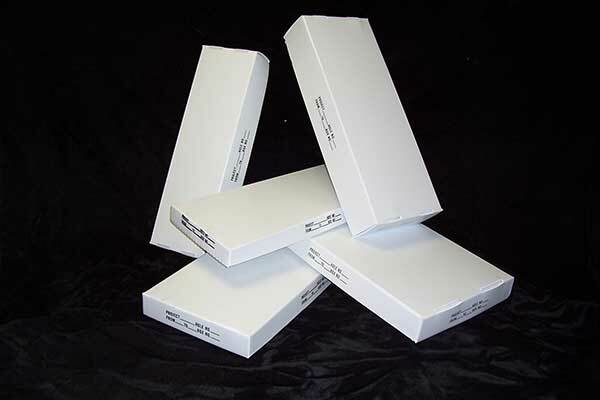 Our Plastic Corrugated Core Boxes outlasts waxed paper core boxes and it is much lighter and ships flat when compared to wood or hard injection molded boxes. 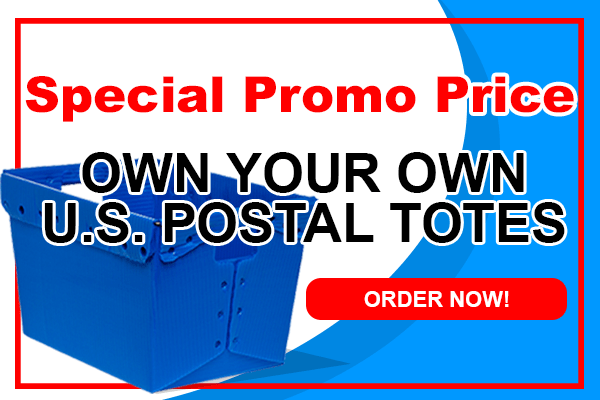 Minimum Order for Standard Sizes is 100 Sets. Additional cost of $50.00 for broken pallets for orders less than 250. Please provide me pricing for the following quantities. NOTE: Minimum order for custom order core sizes is 250 sets. Yes, I would like a freight quote for the above items shipped to ( State, City, Zip ) PPS can also ship to any freight forwarder in the U.S. for International shipments.